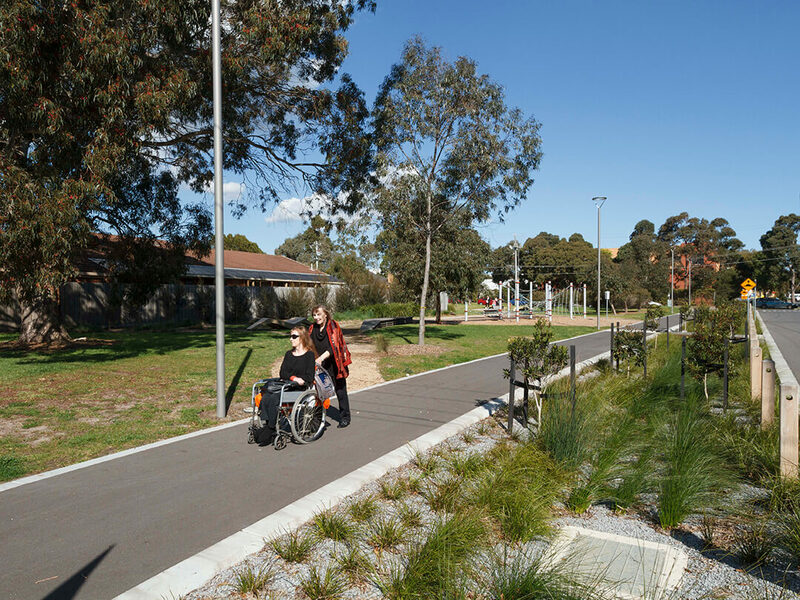 The landscape design response addresses pedestrian movement, access issues, drainage concerns and greatly improves streetscape amenity and safety. 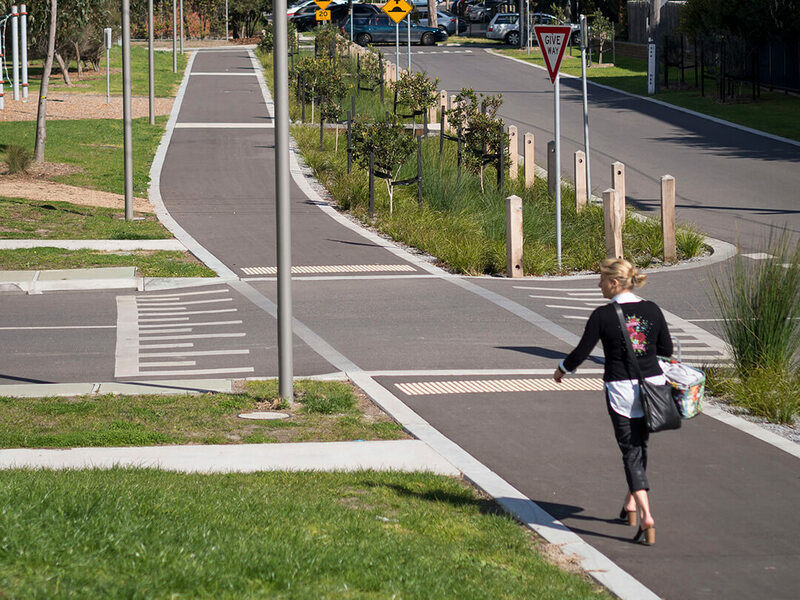 The traditional zoning of vehicles and pedestrians has been blurred to give pedestrians and cyclist higher priority. 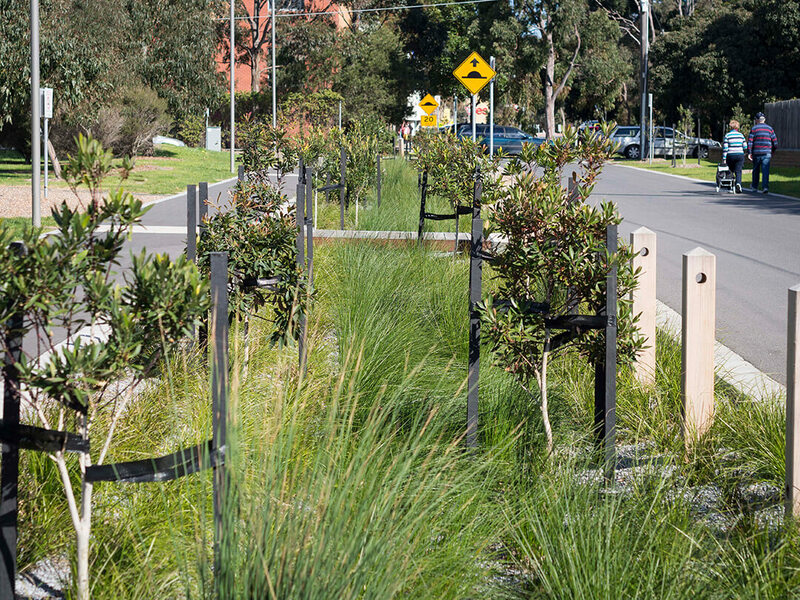 Street parking is replaced with vegetation swales in order to improve the quality of storm water runoff, passively irrigate landscape areas and meet best practice targets for reducing sediment and pollutants entering nearby creeks and waterways. 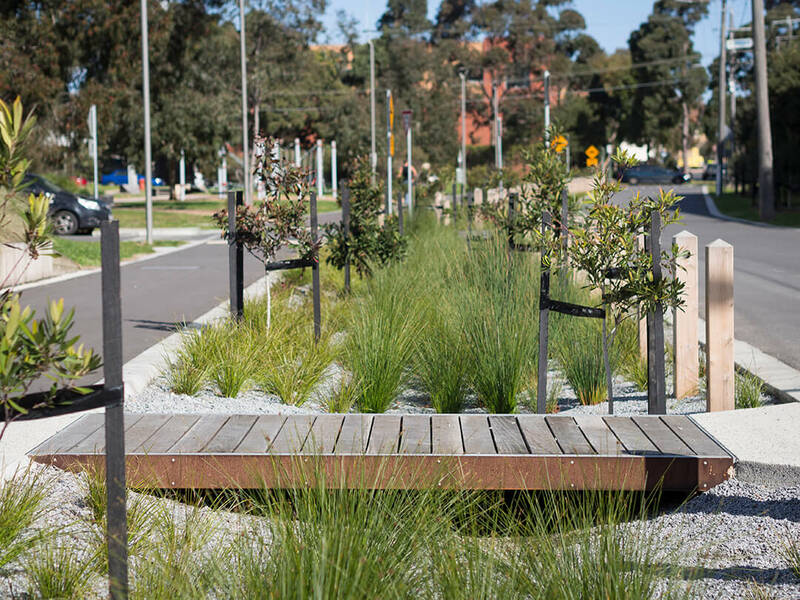 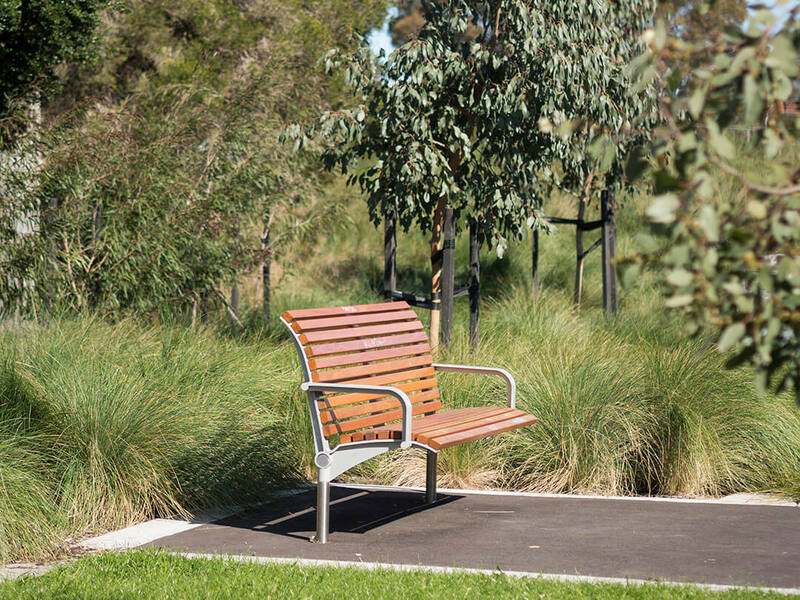 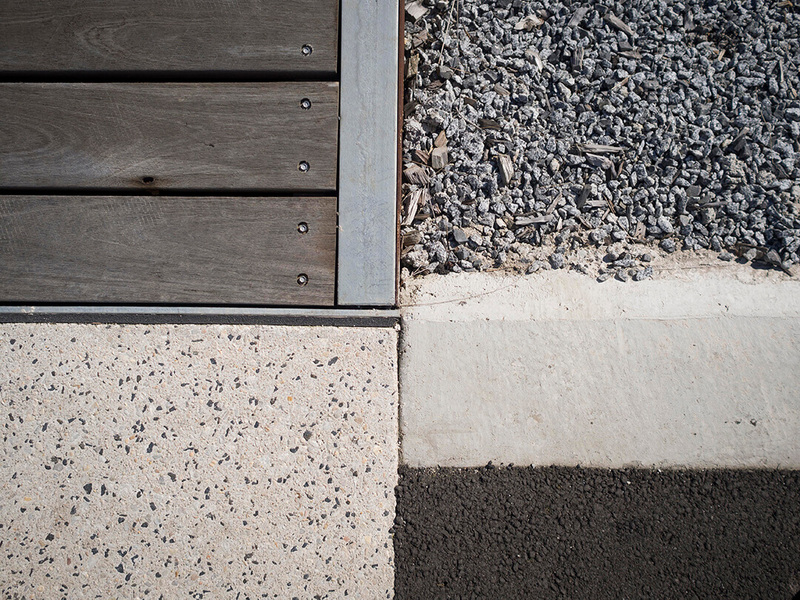 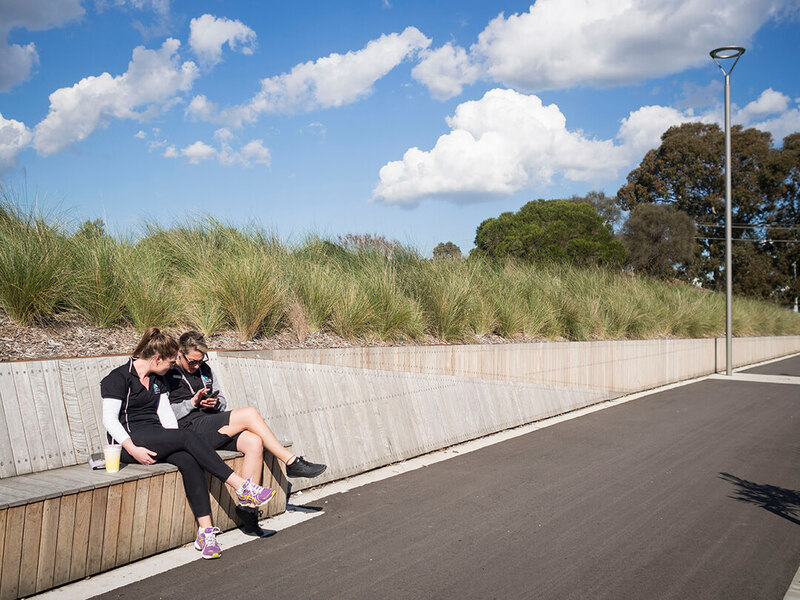 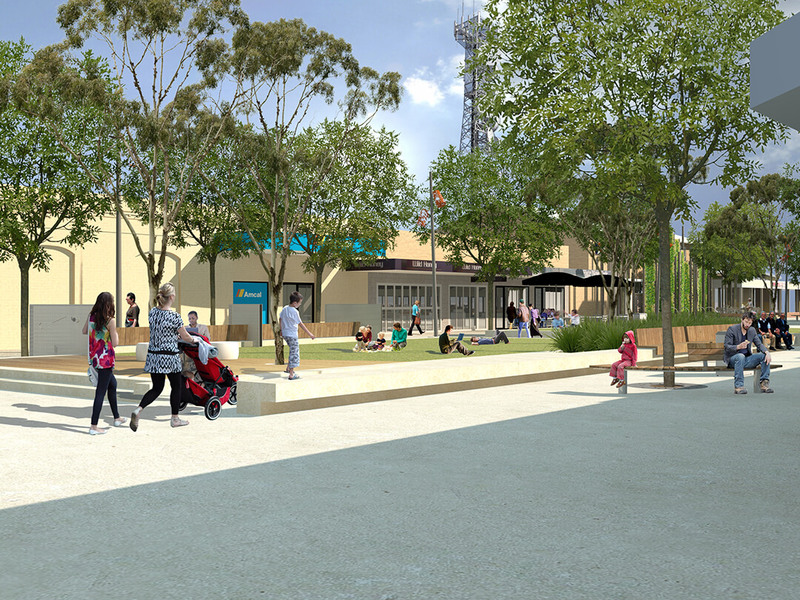 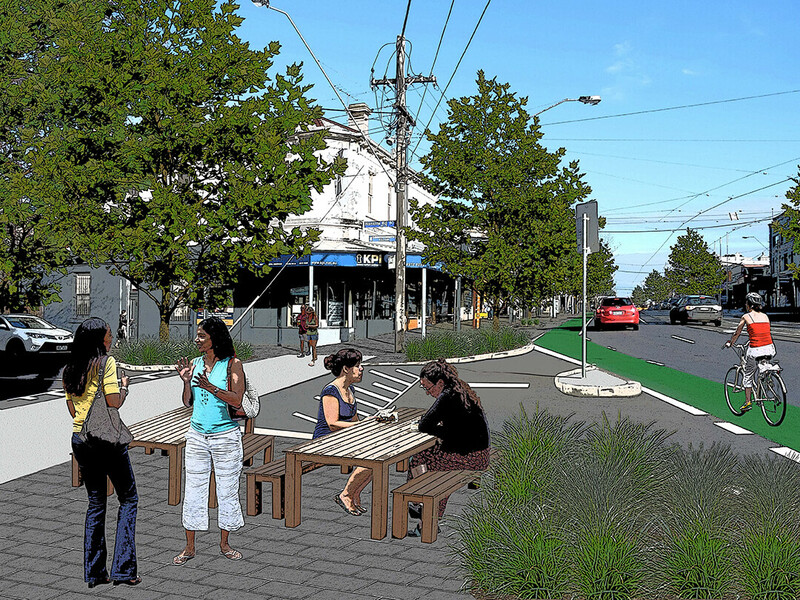 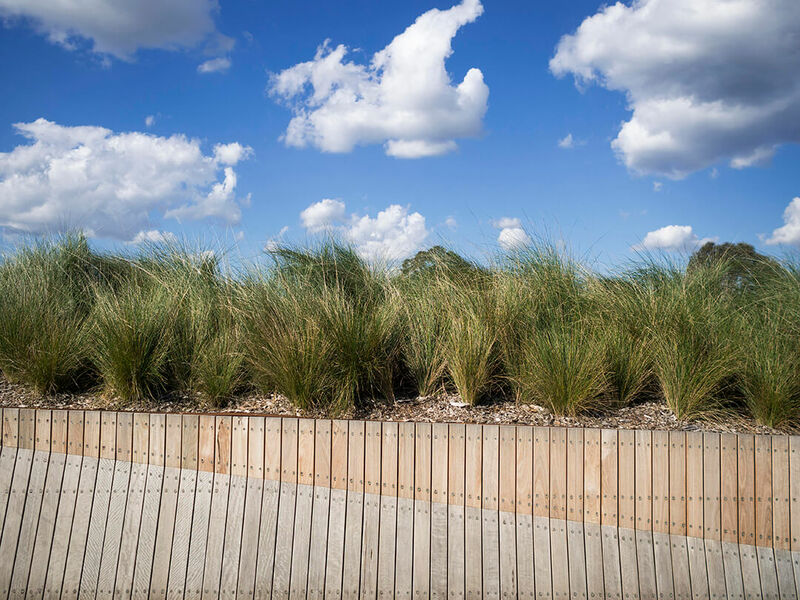 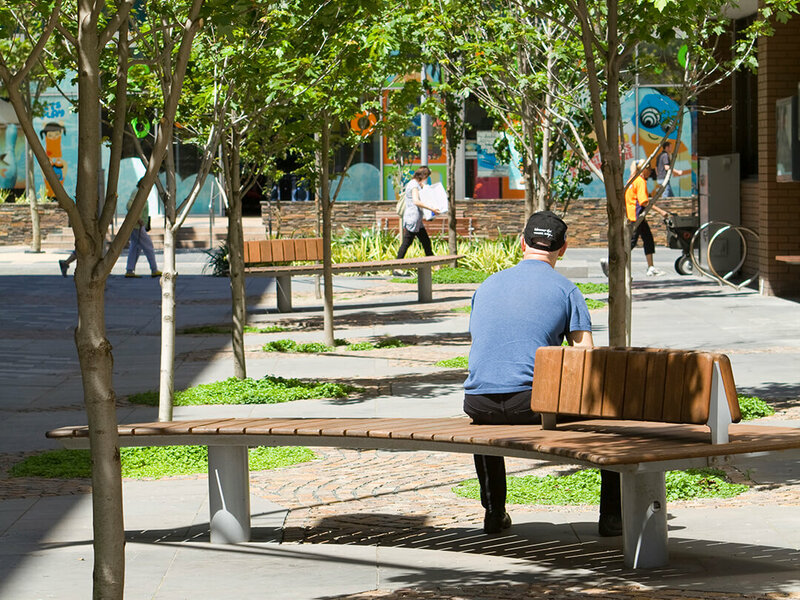 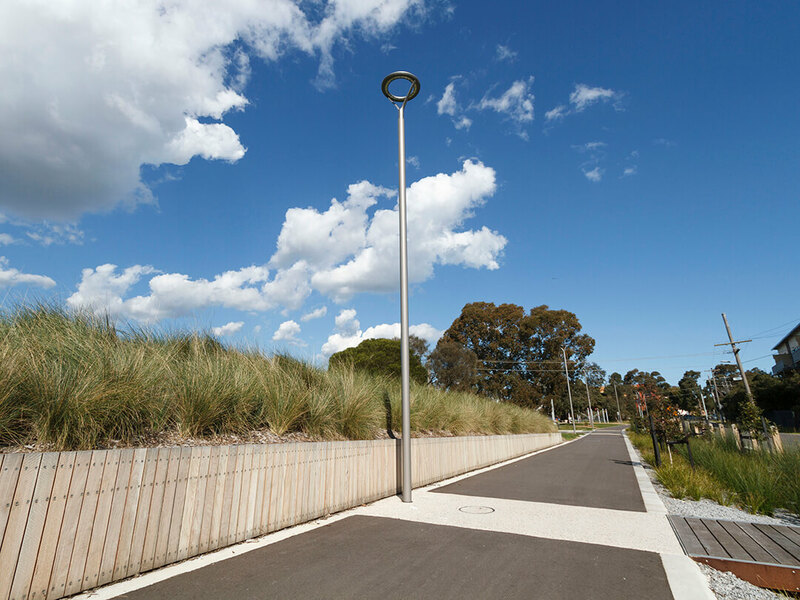 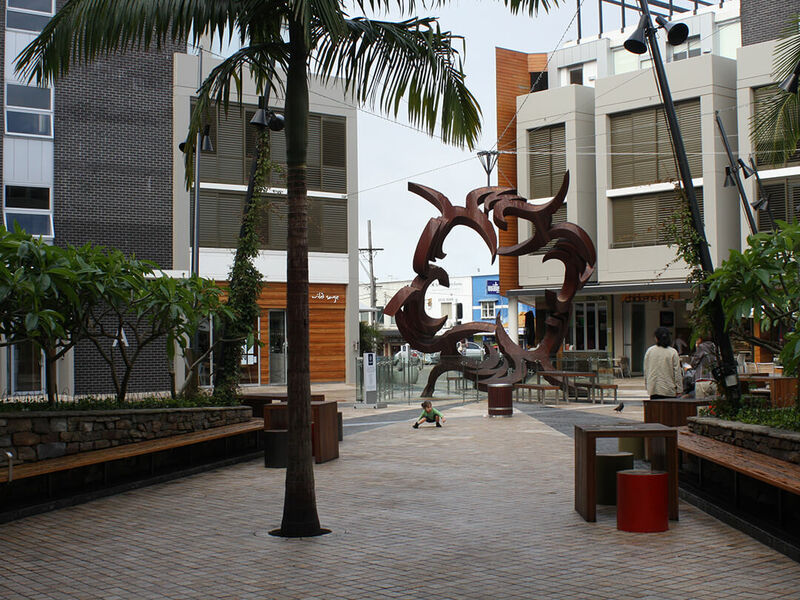 Additional tree and ground storey planting softens hardscape masses, humanises spaces and creates a green link to Frankston’s Central Activity Area consistent with the ‘Evelyn Street Greenlink Master Plan’. 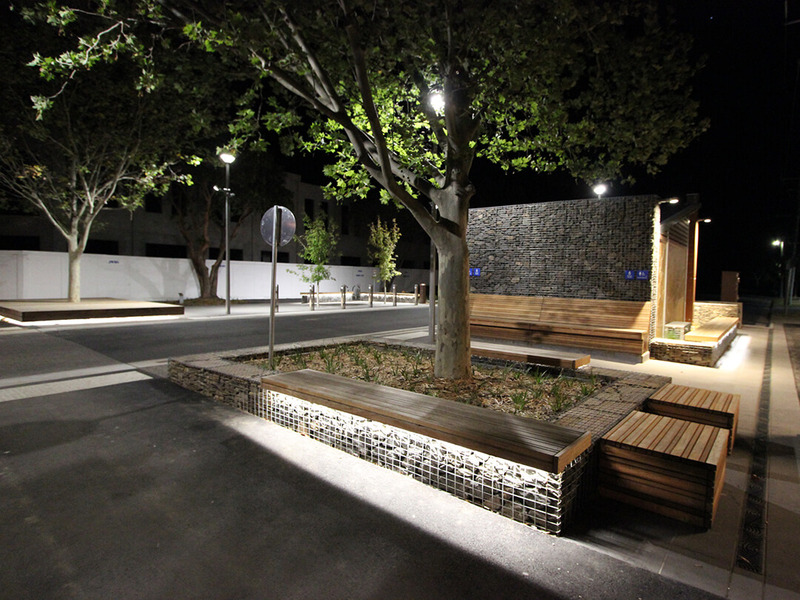 The inclusion of ESD lighting enhances safety at night. 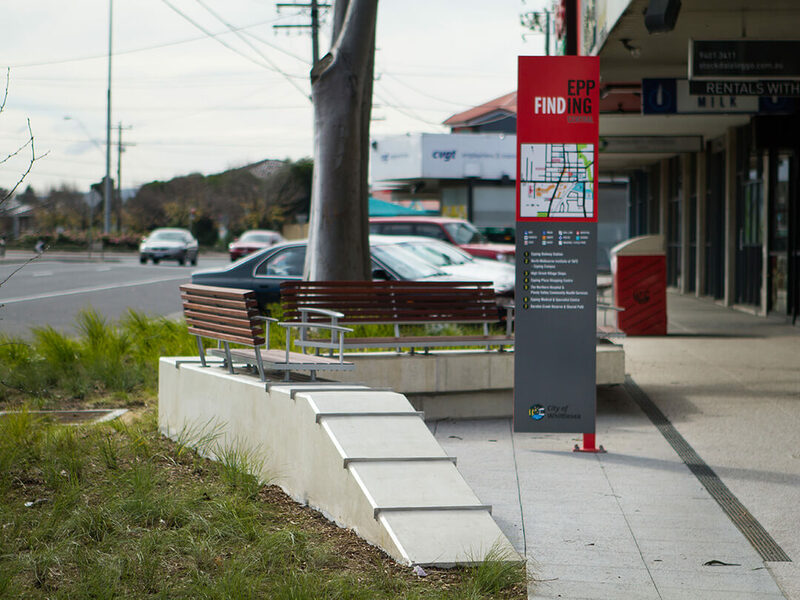 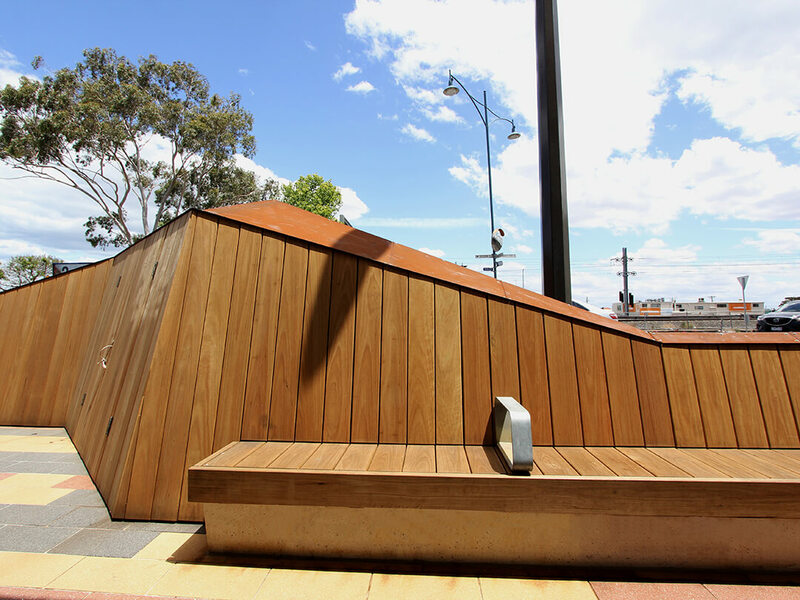 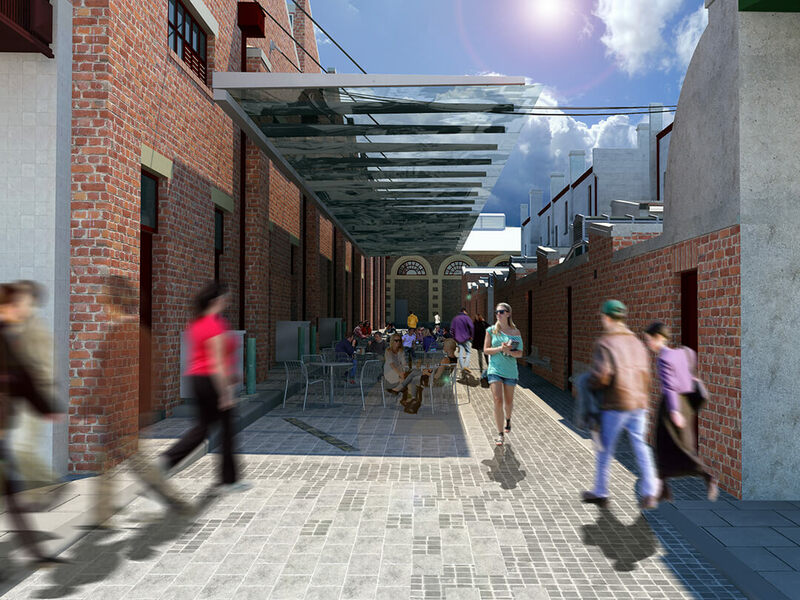 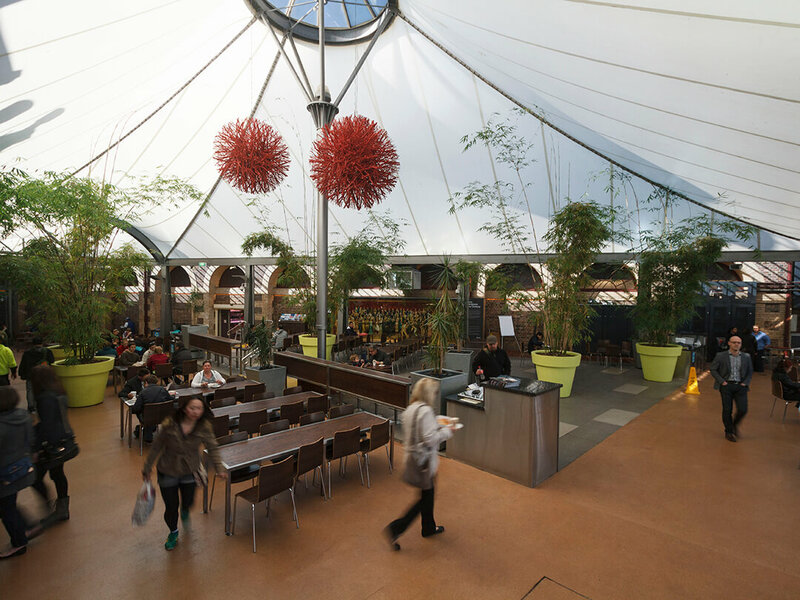 The travelling experience through Evelyn Street has transformed, revealing placemaking opportunities and identifiable markers within Frankston.